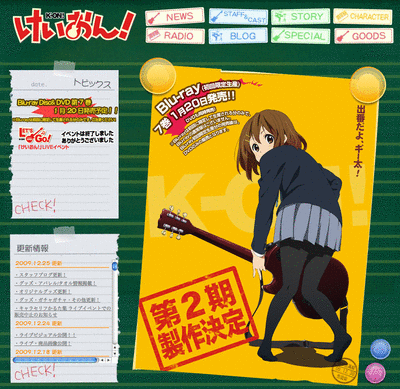 You are currently browsing the category archive for the ‘K-ON!’ category. 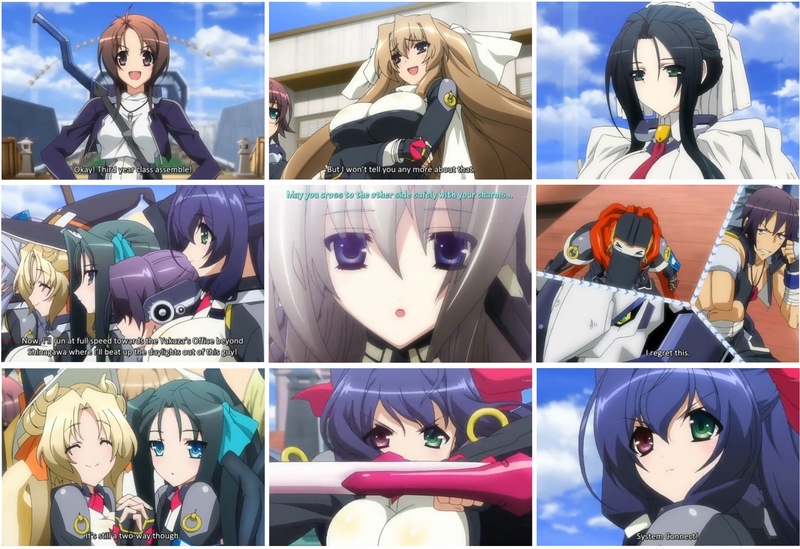 My only complaint about this anime from watching it for a few minutes is their oversized BREASTS!!! *ROLL EYES* Seriously. *sigh* On the whole though, I do like the designs. The soundtrack that played in the opening was promising too. Finally for good measure, there are a tonne of seiyuu that will ring a bell! Miyuki Sawashiro – Maria from Arakawa, Canaan from Canaan!! Ai Shimizu – Tamao from Strawberry Panic! Mai Nakahara – Nagisa from Strawberry Panic! Minako Kotobuki – Mugi from K-ON! [manga] K-ON! Mio x Ritsu doujin!! Quite cute & sweet! Yasashii sekai… is now TWO years old!!!! Thank YOU for making this possible!!! OMG…is it today!?!? *goes off to check* OMG!!! It’s TODAY!!! YES! That’s right!! Yasashii sekai… has now been around TWO WHOLE YEARS (and 1 day cos I forgot :P)!!! WOW WOW WOW!!! I can hardly believe it myself!! Not quite as perfect as Aoi Hana but hey! that one is hard to beat!! 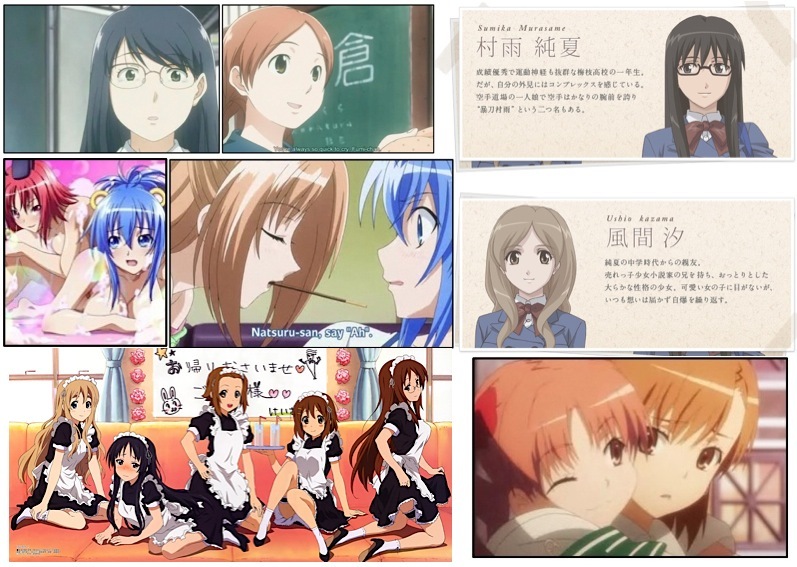 Sasameki Koto is in my opinion a bit more patchy in terms of yuri enjoyment. There are some moments which captures the hilarious slapstick comedy but at times can also get quite serious…almost too serious. In my opinion, the manga (particularly the 2nd half) is much better. The art always manage to take my breath away every so often. Last but not least is Canaan!!! Maria x Canaan!! *SQUEAL* The first half was better than the first half though…I loved the theme songs!! I bought the singles!! I just wanted to say Horraaay! A couple weeks ago I stumbled here while looking for any info on the 4th season. I was happy to find somebody as anxious as I was about the release date, and tonight I checked http://www.gokigenyou.com and saw the 2009 and a 1 on the main image of the site, so I jumped over here to see if it was what I hoped it was! And it was! 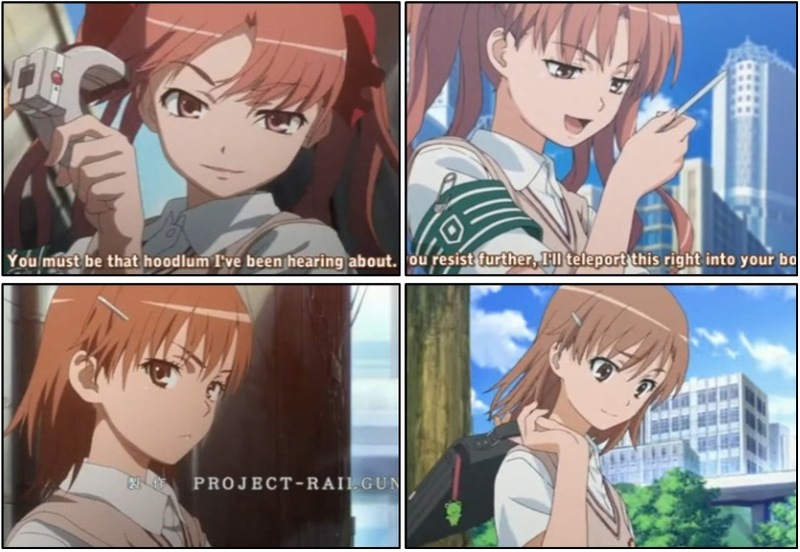 Now I just hope a good fansubbing group will do it right away. I intend to buy it when it’s released in the US officially, but waiting a year+ for Right Stuf to release would be murder! It was hard enough waiting for the first season to arrive and I’d already seen it. Hrm, I know they have the rights to seasons 1-3, but I wonder if that carries over to season 4. Hopefully not. *gasp* I can’t believe I never heard of this! Too bad the games aren’t in english… BUT WAIT! Somebody’s translating the first game! They’re supposedly very far, but the last update was in May, so I dunno. I had my comment box open so I didn’t see your SNEAKY comment Nakayo!!! That had to be the most heated kiss I have ever seen in an anime..EVER! I was like O_O WHOAAH! 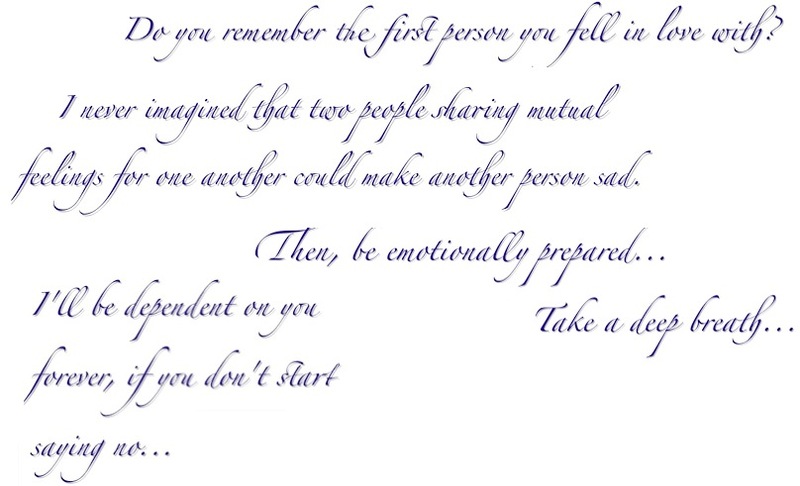 *rewind…replay* *innocent face* I just had to confirm that actually happened the “way” it happened. j’adore j’adore j’adore!!!! FINALLY!!! It feels like it took forever for this chapter to come into my life! Totally epic and totally worth all that wait and frustration Morinaga put us through! Plus that’s exactly the same thing..how does it make me crazier? Hahaha! well, what you can do is flip ur pillow to the blank side during day time, and at night, when ur all alone and the moon shines brilliantly through your window… you slowly flip ur pillow, ogle at the wonderful bishoujos, fantasize dreamily for awhile, AND MOOSH UR FACE INTO THE PICTURE! YAY! I’ve jus red Chapter 22!!!! a lot of squealing hahaha!!! (There are no words that can describe how wonderful this manga is)!!!! I’d rather wait until the translation comes out,, like that it would be more exciting!! The last year has been a wonderful year and all thanks to having you crazy bunch of people (I’m not just referring to the above regulars but EVERYONE who drops by here), we are able to openly share our weakness over yuri!!!! *SQUEALS!! GASPS!! AWWWW!!! KYAAAAAAA!!! SWOON!!! * hahahaha YOU get the idea!! Everyone, THANK YOU + GLOMP!!! ^_^ I hope to continue seeing you around!!! Feel free to drop me any comments or suggestions!! I’m always open to new ideas!!!! Ja!! 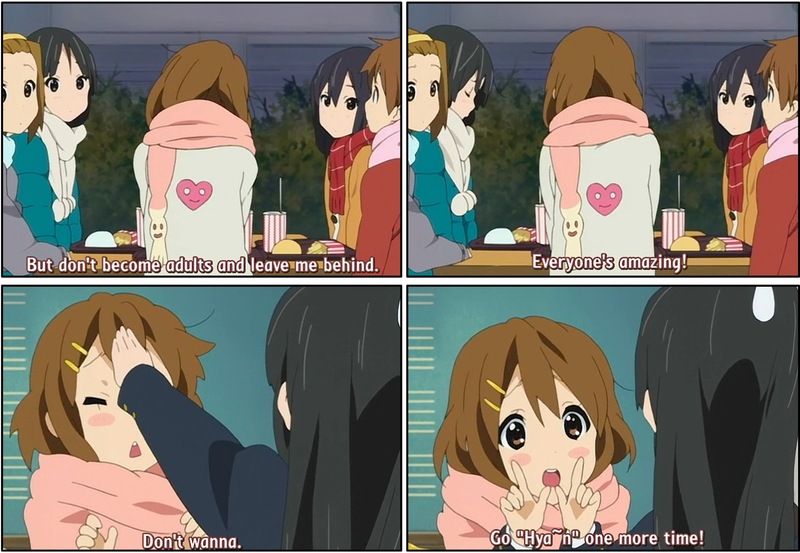 [anime] K-ON! SEASON 2 CONFIRMED!! K-ON! Season 2 has been confirmed over at TBS!!! There’s also an article at ANN. Thanks goes to Miko for pointing this out!!!! WOOOHOOO!!!! Can’t wait!! Here we have a city, Academy City, that’s known for training young girls to have superhuman powers (basically fighters with extra powers like teleporting and electrocution!?!) and a selected few are part of a group called “Judgment” that upholds justice and beats crime. [manga] K-ON! ~ I order you to READ it K-ON fans!! Everyone’s amazing! But don’t become adults and leave me behind. It was so raw and honest. Almost too honest but so true at the same time. It’s a sad reality that as we grow up, the distance between friends typically increases.